The classic styled mantel of the Lincolnshire™ fireplace features an Early American finish that will bring richness to any room in your home. This complete system offers a powerful 27,500 BTU's and a 99.9% fuel efficient burner system which requires no electricity. This fireplace provides enough heat output to heat an area up to 1100 sq. feet. The dual fuel feature of the Lincolnshire™ permits installation almost anywhere accessible to a gas line. The 4-in-1 design allows installation against a flat wall or into a corner. Even when the power is out, you and your family can enjoy cozy, comfortable warmth from your new Lincolnshire™ fireplace system! Check state and local codes for installation restrictions and requirements before purchase. California or Canada! NOTE: The state of California prohibits the use of this product. Due to the built-in oxygen safety sensor vent free products may not work properly at elevations of 4500 ft. Please check your state and local codes prior to purchase. 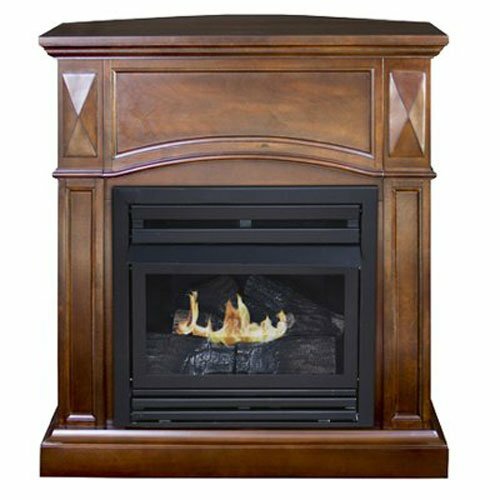 The Belmont Compact Freestanding Dual Fuel Gas Fireplace with a Vintage Cherry Finish. 20K BTU's and thermostatic heat control. GFD2042 heats up to 800 sq. ft. NOTE: The state of California prohibits the use of this product. Please check your state and local codes prior to purchase. Due to the built-in oxygen safety sensor vent free products may not work properly at elevations of 4500 ft.
Blower for gas stove and fireplace. The deluxe, full-sized Savannah™ fireplace features a heritage oak finish that will add grandeur to almost any room in your home. It offers a powerful 32,000 BTU's and a 99.9% fuel efficient burner system which heats up to 1,350 sq. feet. 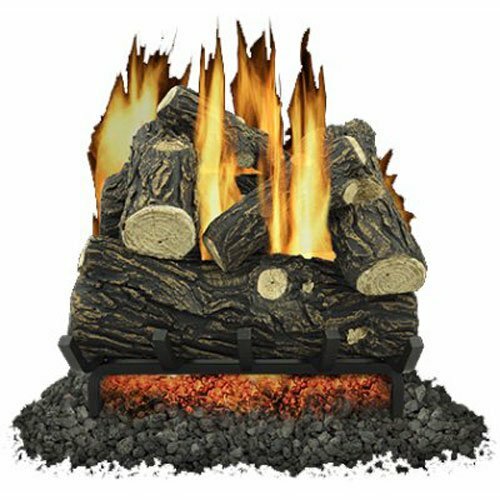 The large oak-style log set can be conveniently controlled by the included hand held remote and does not require electricity. The dual fuel design of the Savannah™ permits installation almost anywhere accessible to a gas line. Even when the power is out, you and your family can enjoy cozy, comfortable warmth from your new fireplace system. The Savannah™ will make a statement as the focal point of a room or simply as an accent. Check state and local codes for installation restrictions and requirements before purchase. Not for sale in California or Canada. 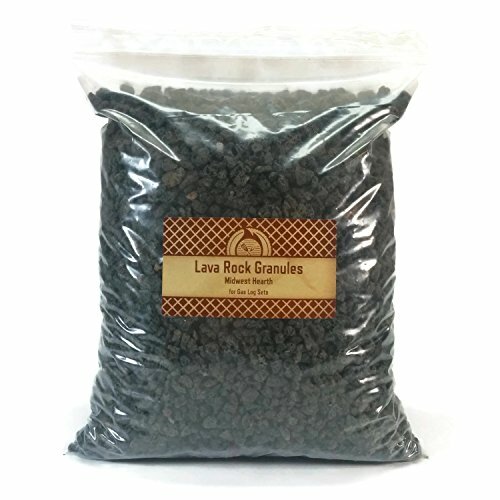 NOTE: The state of California prohibits the use of this product in any dwelling, house or unit. In the state of California, use should be limited to non-airtight outbuildings such as barns, garages, etc. The sale of this product is prohibited in the state of Massachusetts. Please check your state and local codes prior to purchase. 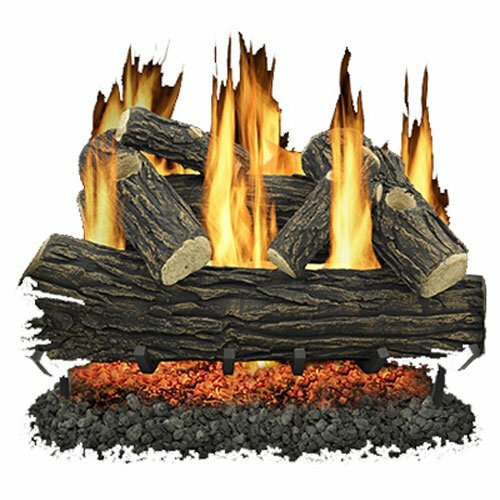 The "Highland Ember" Series 24" Vent-Free Gas Log Set with Remote Control is made up of 8 concrete realistic cast logs. Dual Fuel allows you to use LP or Natural Gas safely with the oxygen depletion system. Keep your home comfortable with your remote. NOTE: The state of California prohibits the use of this product. Please check your state and local codes prior to purchase. Due to the built-in oxygen safety sensor vent free products may not work properly at elevations of 4500 ft.
18" Legacy Oak Vented Gas Log Set. Operates on Natural Gas, an optional LP Conversion Kit available. 45K BTU's. 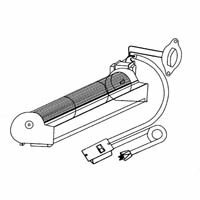 The 600-1 fan kit is a dual blower kit designed to fit several Kozy Heat fireplaces. 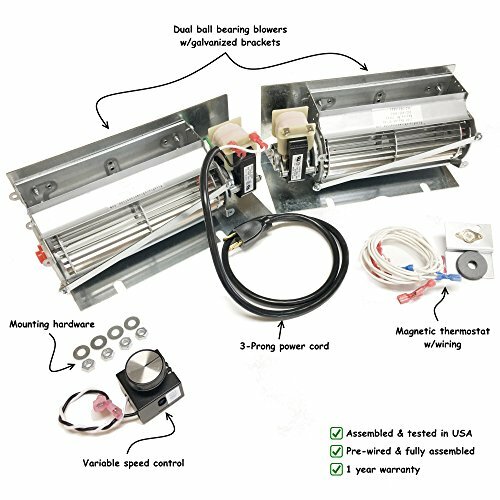 The blower kit includes all of the components you'll need to successfully install a blower into your fireplace for the first time. The 600-1 kit uses a thermostatic on/off switch, which will automatically turn the blowers on and off at preset temperatures. In addition to the thermostat, the 600-1 kit also includes a rheostat variable speed control that gives you full control over the blower's RPM range. 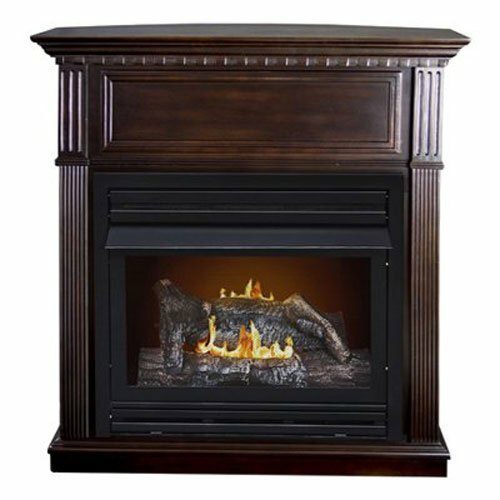 Fits the following Kozy Heat fireplaces: 932 936 942 961 wood burning 231 241ZC zero clearance Z-42. A fireplace blower kit is an efficient and affordable way for you to finally take advantage of your fireplace's wasted heat energy. A properly installed blower kit will last for years and provide your home with energy saving heat. Be aware of cheaper alternatives. They are NOT ball bearing blowers as advertised and are merely private labeled kits manufactured overseas. 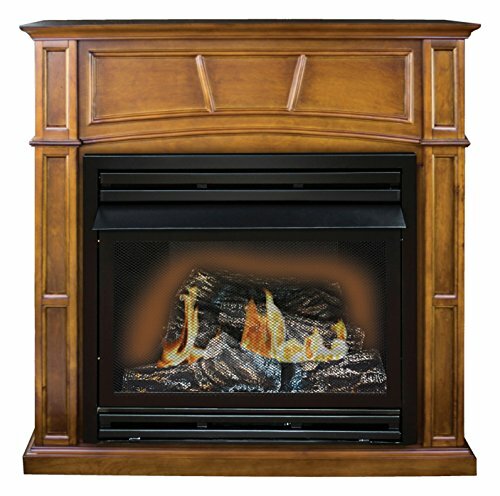 Looking for more Kozy Gas Fireplaces similar ideas? Try to explore these searches: 3/4 Length Leather, Rich Chewy Caramel, and Ralph Lauren Contemporary Table. Look at latest related video about Kozy Gas Fireplaces. Shopwizion.com is the smartest way for online shopping: compare prices of leading online shops for best deals around the web. 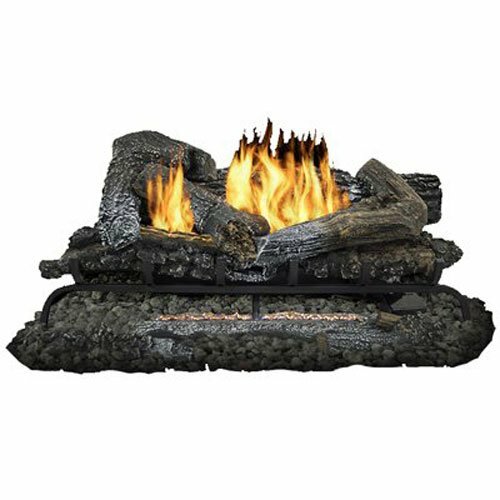 Don't miss TOP Kozy Gas Fireplaces deals, updated daily.